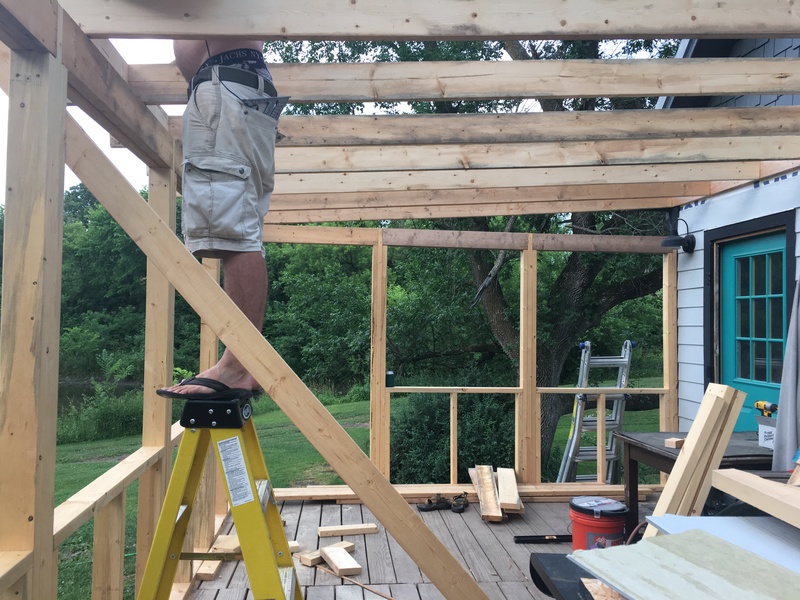 All summer long, Ben has been flexing his builder muscles—literally and figuratively—on the back porch. 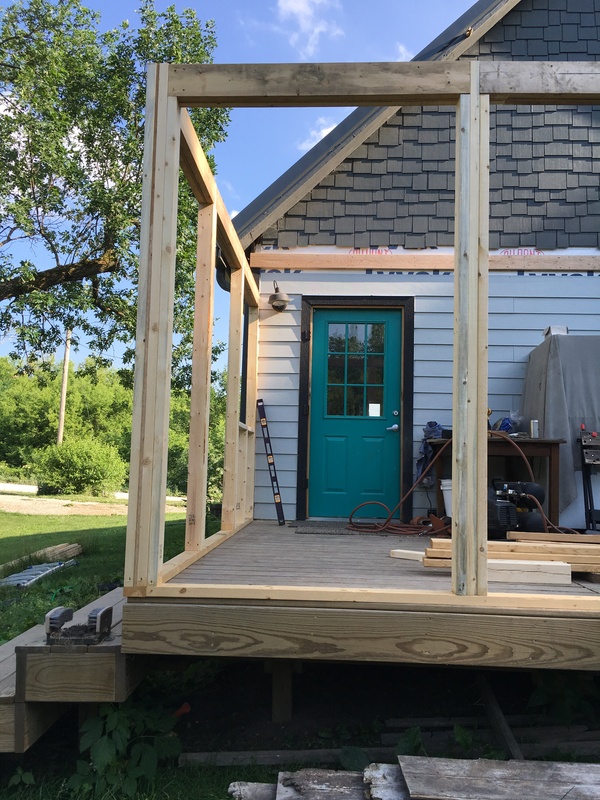 Two summers ago, when we re-sided the house, he built a 12-feet-wide deck across the back, stretching the length of the house. 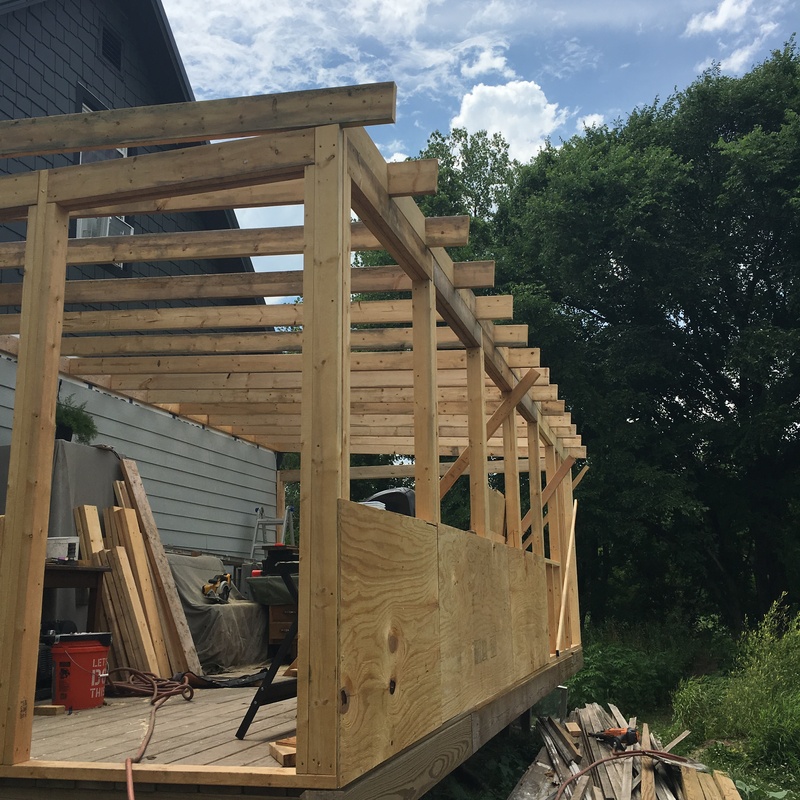 This summer, he has been building walls with 48-inch-wide windows to wrap the space, and adding a roof to create a screened room. The screens themselves are still to come, but the project is too amazing not to share! Besides…let’s be honest here…the screens may not actually get built until next spring. I mean, we have a kitchen wall to tile, a dining room’s popcorn ceiling and walls to scrape, and lots more to do this winter! 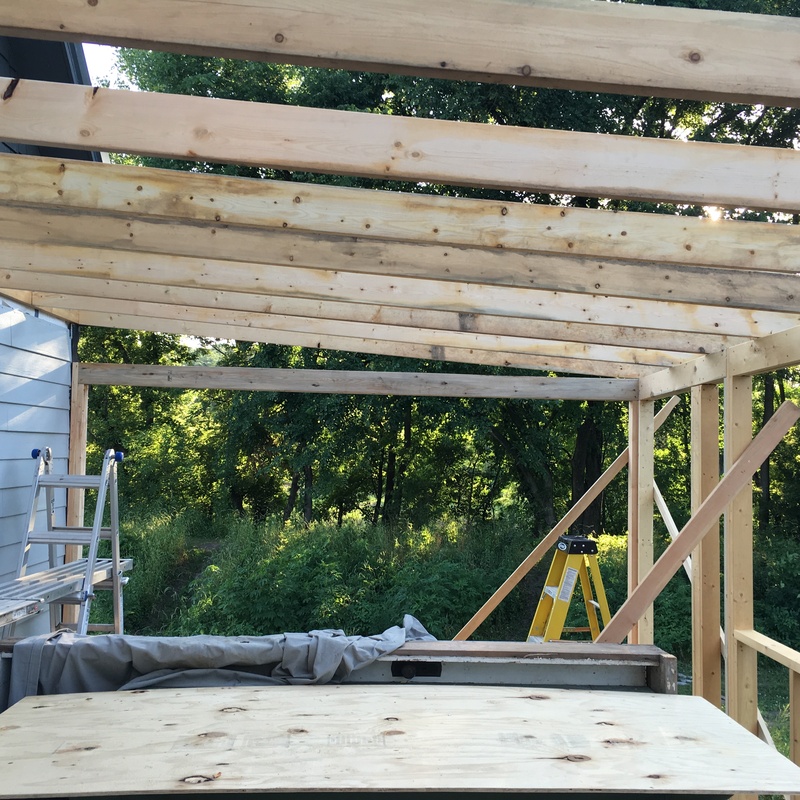 So, here’s a look at the screened porch as it stands this fall. 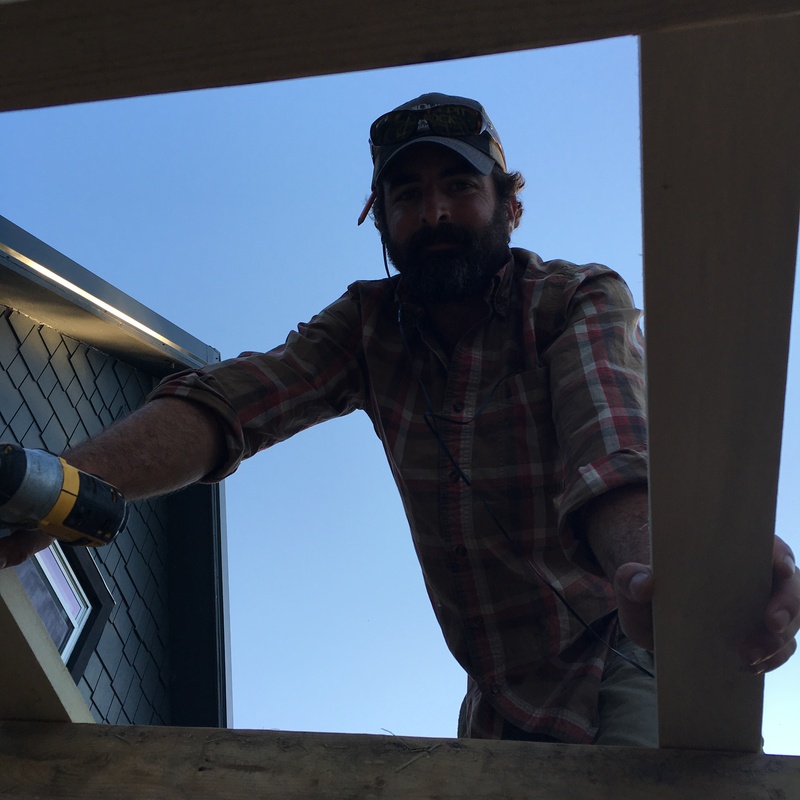 First thing: Ben tore of some of the siding we worked so hard to put on. This alone gave me anxiety. 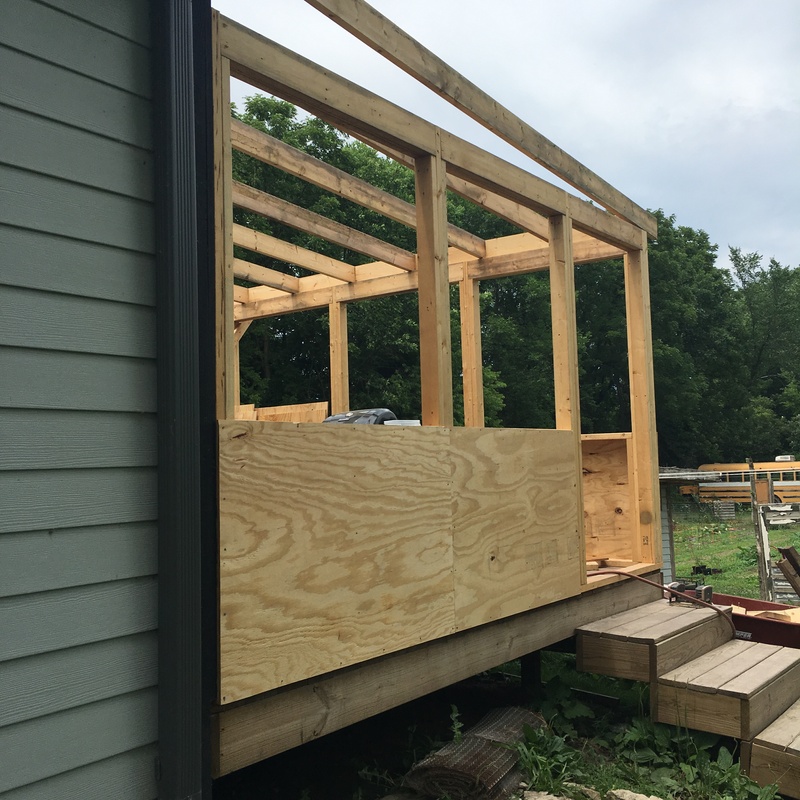 But the ledger board he added is where the roof of the screened room will attach to the house. But still. 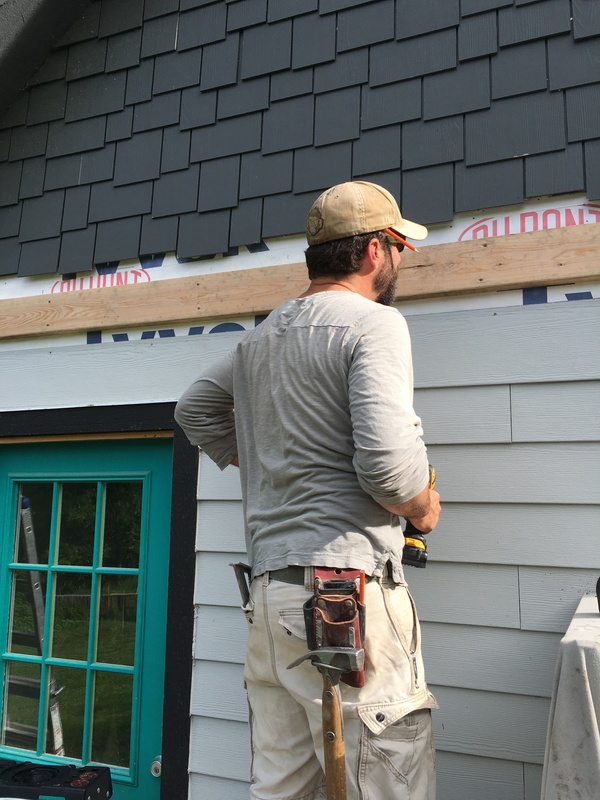 My beautiful siding! 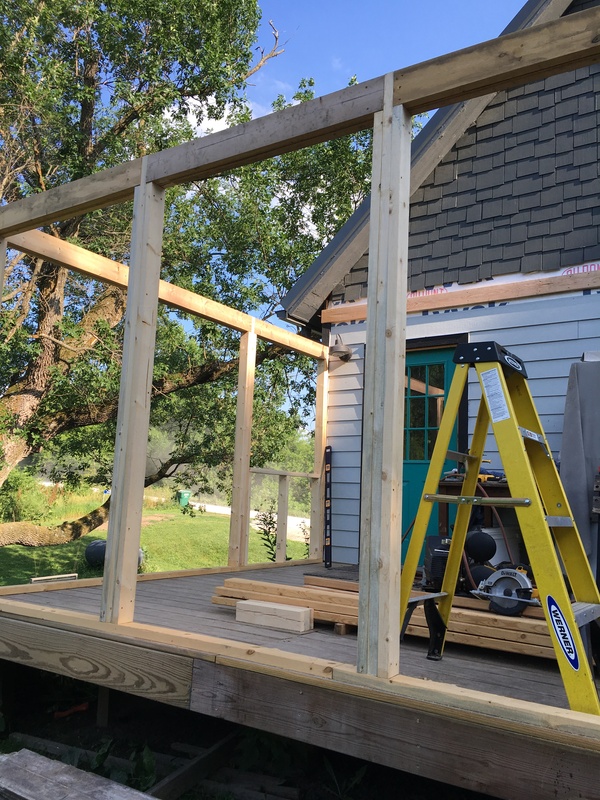 Next, he framed the walls. 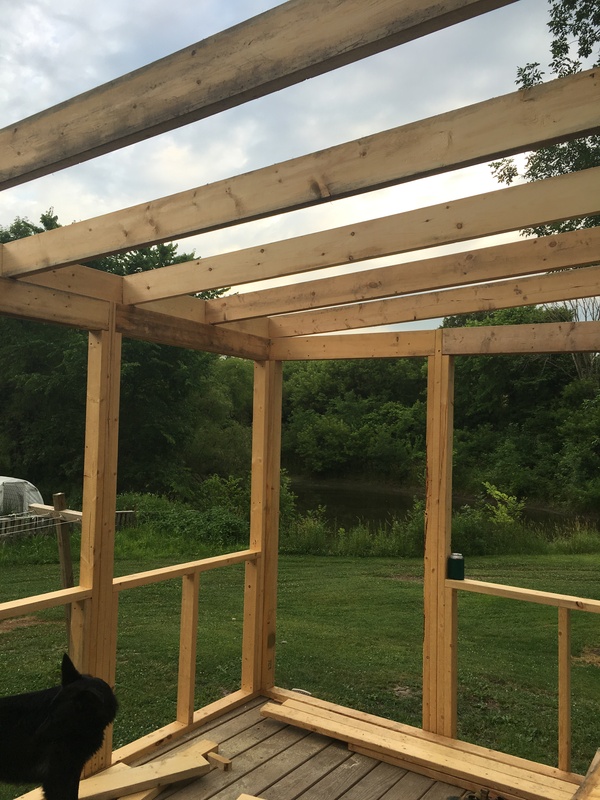 The lower walls will be solid—with 3.5 big, crazy dogs, we aren’t wasting our efforts and energy by doing lower screens. 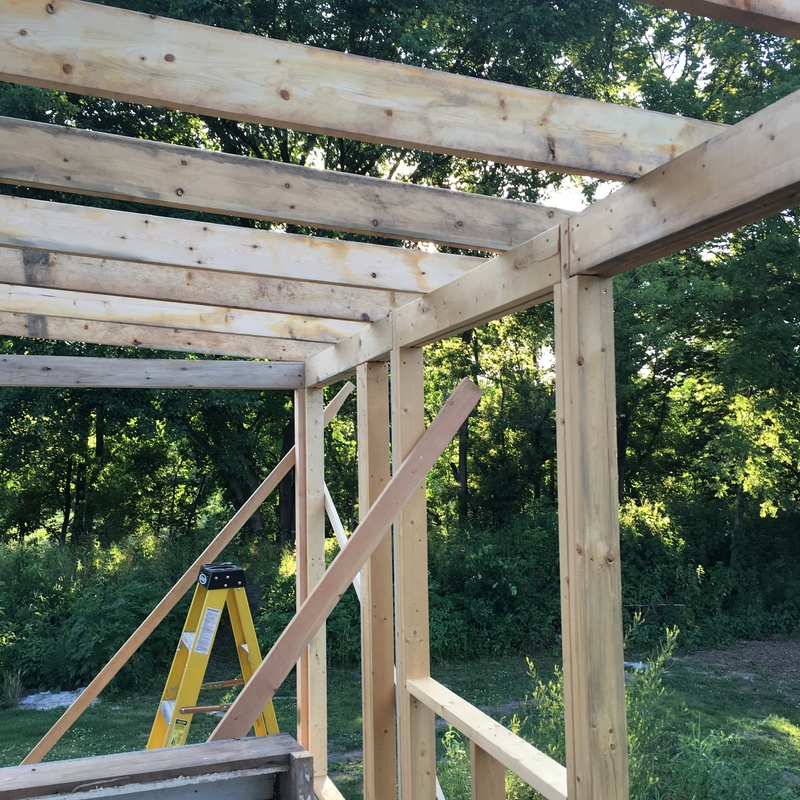 Only the upper half will be screened openings. 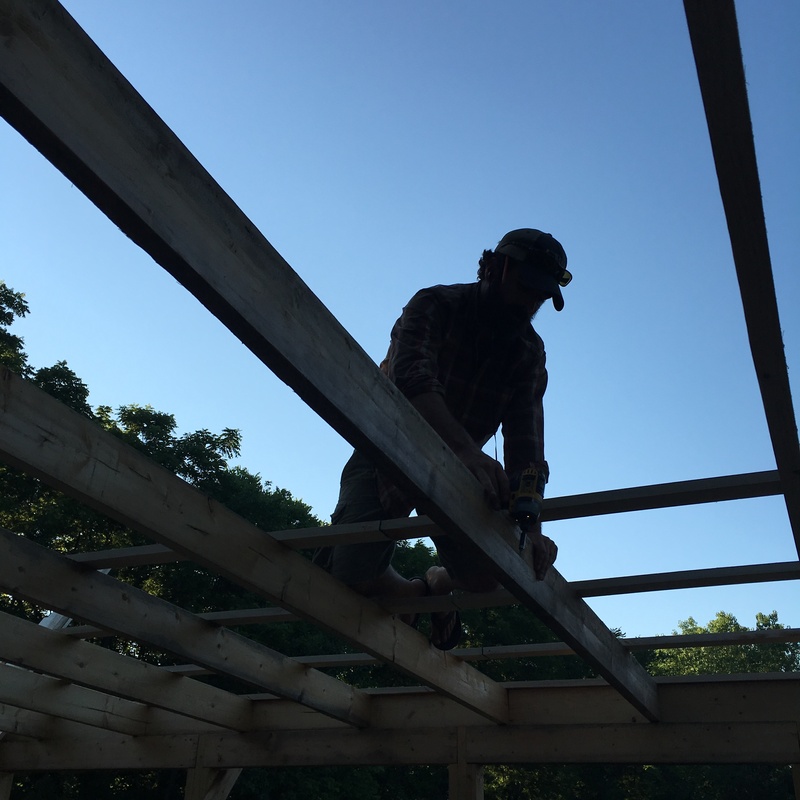 Purlins on top of the rafters brace the sheets of steel. 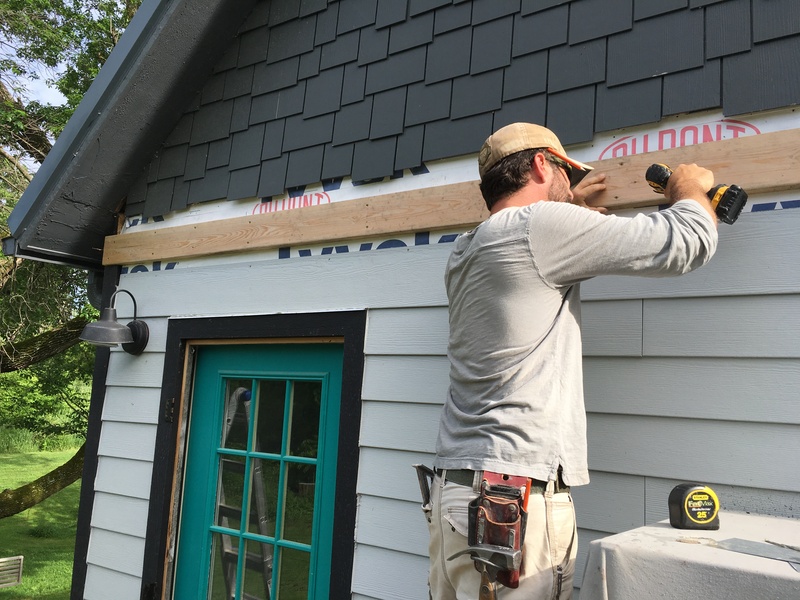 And, paint—the same dark gray as the shake siding. This is the part I actually pitched in on! Otherwise, I can take no credit at all. Note the temporary roof…it’s a tarp Ben put in place to give us at least a little cover from the summer rain. 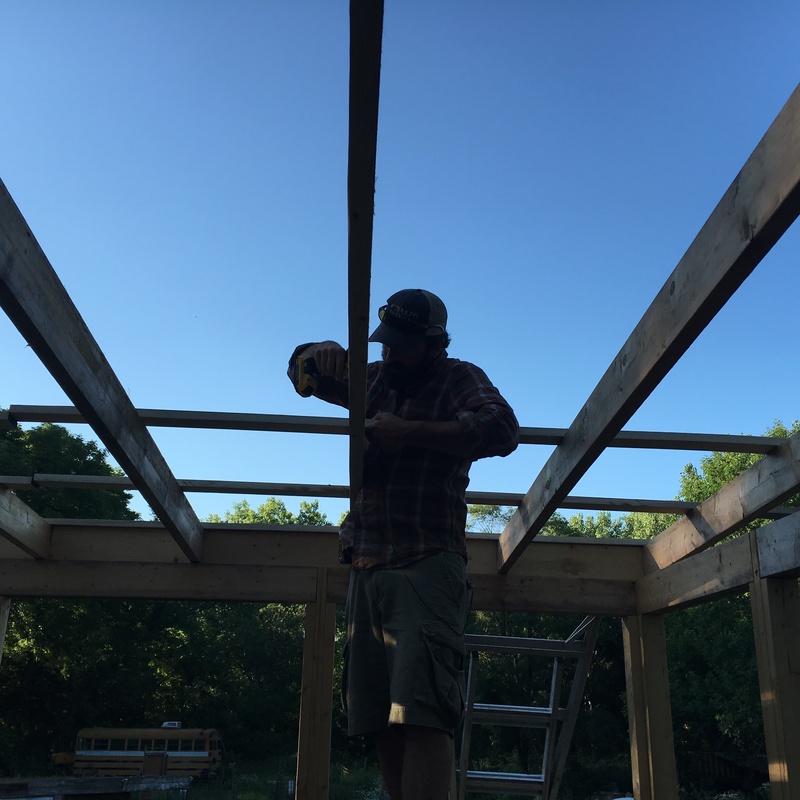 Ben put the left over steel roof panels (that have been patiently waiting in our backyard for two years) to good use. As I said at the top, we certainly are not done, but that’s no reason not to add a little ambiance, right? Right. The first string of globe lights went up even before the roof was complete. Here’s where we stand now. 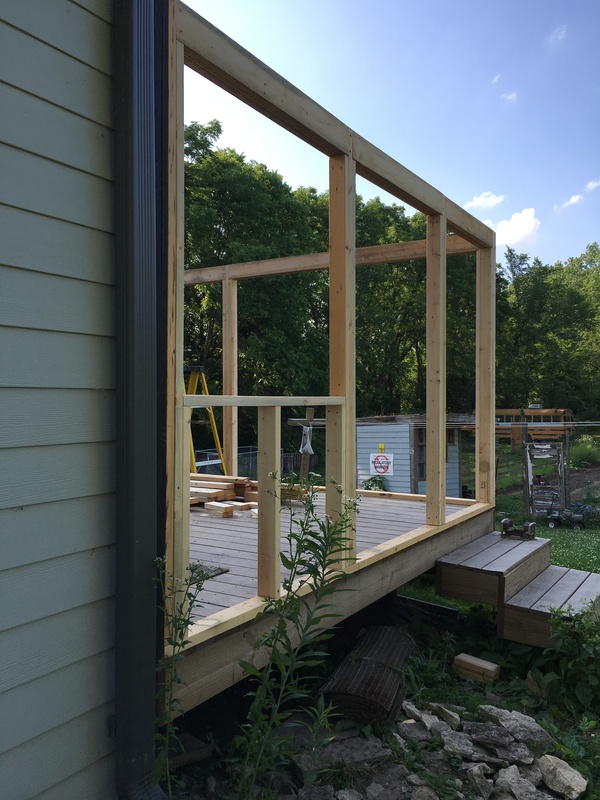 We need to install the screen doors on either end and make the screened window panels. We are already loving the space that on really hot, brutal days is shady and cool, on wet days stays dry. We’ve already enjoyed a few meals, hours of reading and daydreaming, and it isn’t even done yet! I don’t mind predicting that this room might become the Cockamamy place to be at least three seasons of the year! Porch/4 season room looks great. Did you ever have mushrooms from the logs Ben was working on in a previous blog! Great job!